Fill in your details below to receive our technical updates. 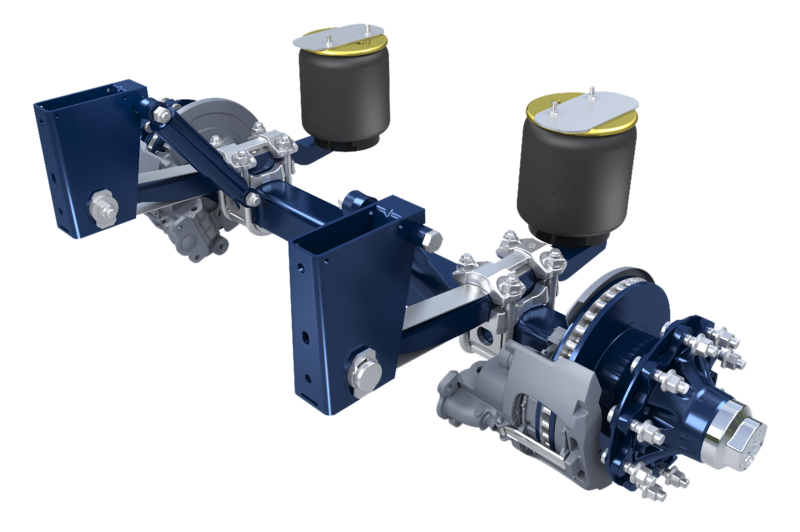 BPW’s class leading trailer suspension systems provide cost effective, safe and reliable solutions for trailer manufacturers and operators. Whether you require air or spring suspensions or a swivel axle bogie, we aim to provide the complete package from one source – BPW Transpec. BPW’s comprehensive range of trailer air suspensions are designed to perform under various operating conditions, from low tare weight configurations for highway applications to heavy-duty on/off-road models up to 14 tonne per axle capacity. the suspension component design and selection, and quality of workmanship. These attributes are vitally important when assessing the total cost of the running gear over the life of the vehicle. BPW has an extensive range of mechanical suspensions for axle loads from 9 to 20 tonne per axle. BPW spring suspensions are designed for use in on/off highway conditions. BPW Transpec 1-11 Cherry Lane, Laverton North Vic 3026. ABN 63 006 645 272. © 2013 BPW Transpec Pty Ltd. All rights reserved. No part of this website, excluding files marked for downloading, may be reproduced, stored in a retrieval system or transmitted in any form or by any means, electronic, mechanical, photocopying, recording or otherwise, without the written permission of the copyright owner.